Good News for car lovers in Delhi! Maruti Suzuki has slashed its price of its very popular smart hybrid vehicles – Ciaz and Ertiga. While the Maruti Ciaz SHVS sees a price cut up to Rs 69,000, the Maruti Ertiga SHVS price has been dropped by up to Rs 62,000. The huge price cut is due to the reduction in excise duty – the current excise duty of 24 per cent is now brought down to 12.5%. With the reduction in excise duty, the revised prices of the base variant of Maruti Suzuki Ciaz SHVS is 7.68 lakhs and it goes up to 9.49 lakhs. 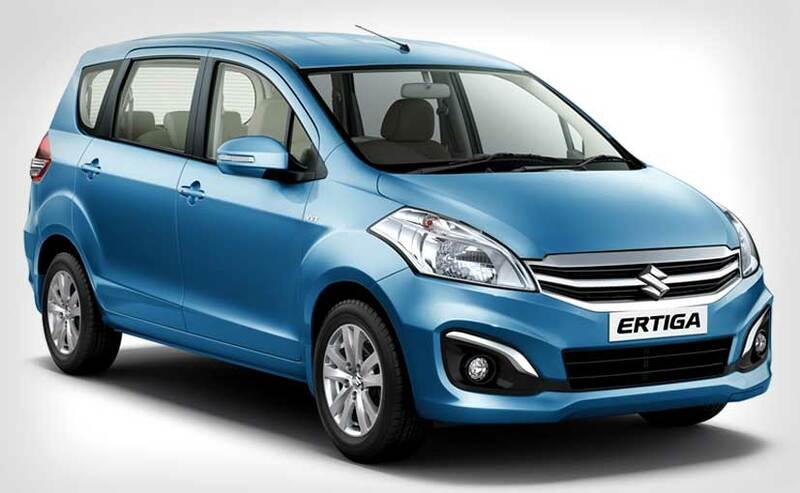 The Ertiga’s prices have also been revised. The Maruti Ertiga SHVS base trim is currently priced at Rs 7.08 lakhs going up to 8.66 lakhs (Ex-Showroom, Delhi). All Thanks to ‘Smart Hybrid Vehicle by Suzuki’ (SHVS) technology that powers Ciaz and Ertiga. This technology comes under National Electric Mobility Mission Plan (NEMMP) and provides a privilege up to 50% reduction in excise duty resulting in huge price slash. This price is applicable only in the city of Delhi. As a result of this, Maruti Ciaz SHVS is now up to Rs 2.19 lakhs cheaper than its competitor Honda City Diesel. With the revised pricing, the difference in base variant is Rs 1.62 lakhs where as the price difference in the top trim models is Rs 2.19 lakhs. This is going to be huge for Maruti Suzuki as it can attract more customers with this jaw-breaking prices. Both Ciaz SHVS and Ertiga SHVS are powered by Maruti Suzuki’s 1.3-litre MultiJet Diesel engine. The engine is paired with Maruti’s SHVS micro-hybrid technology. The engine delivers a maximum of 89bhp power and adds torque of 200Nm. Both of these models get 5-speed manual transmission gearbox.